Darroch—Crawford. 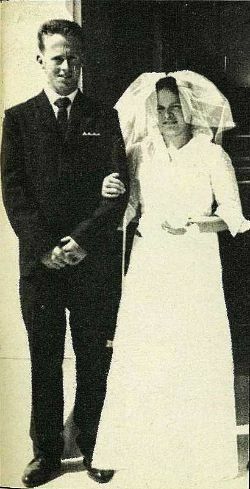 At Knox Presbyterian Church, Mangapapa, Elizabeth Bowie, daughter of Mr and Mrs J. McMile Crawford, 27 Valley Road, to Grenville Brian, son of the late Mr and Mrs Darroch, Nelson. 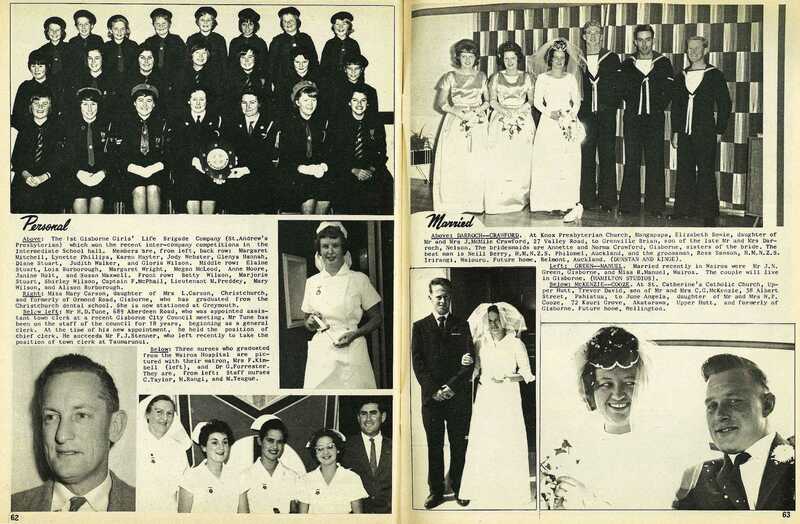 The bridesmaids are Annette and Norma Crawford, Gisborne, sisters or the bride. 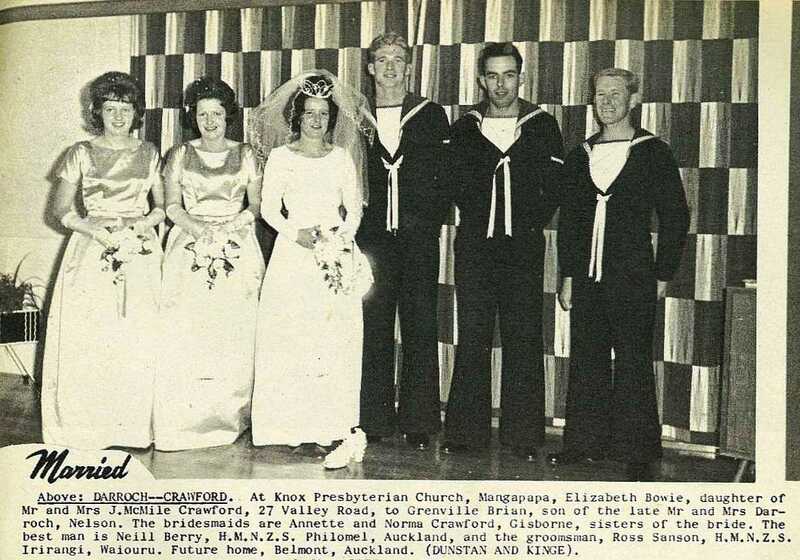 The best man is Neill Berry, H. M. N. Z. S. Philomel, Auckland, and the groomsman, Ross Sanson, H. M. N. Z. S. Irirangi, Waiouru. Future home, Belmont, Auckland. (Dunstan and Kinge). Green—Manuel. 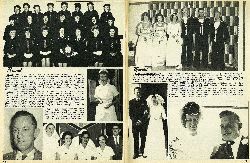 Married recently in Wairoa were Mr J. N. Green, Gisborne, and Miss R. Manuel, Wairoa. The couple will live in Gisborne. (Hamilton Studios). McKenzie—Cooze. 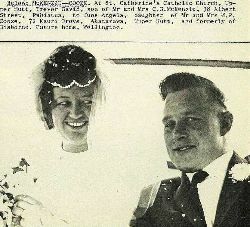 At St. Catherine's Catholic Church, Upper Hutt, Trevor David, son of Mr and Mrs C. G. McKenzie, 38 Albert Street, Pahiatua, to June Angela, daughter of Mr and Mrs W. P. Cooze, 72 Kauri Grove, Akatarawa, Upper Hutt, and formerly of Gisborne. Future home, Wellington.